It’s never easy to juggle multiple things at once while trying to fit it all into a work week. Not only is it difficult to accomplish as many things as possible at once, but also not knowing which tasks need to be completed when makes it even more difficult to get anything done. Many think that multitasking is a quick way to accomplish everything in little or no time. However, that isn’t always the case, it can delay the completion of these tasks. 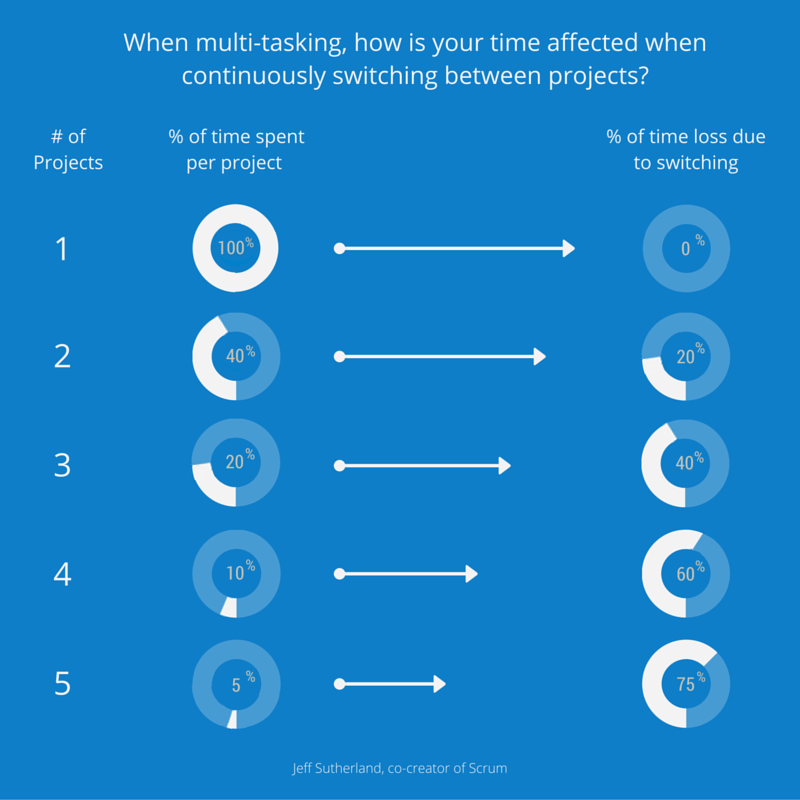 Not only will multitasking delay the completion of all projects, but it will also make you lose considerable time. When you switch from one project to another, it can take you some time to get back to the point where you left off, losing time that could have been used for something else. Instead of overwhelming yourself with a variety of different tasks, working on projects that are related to one another will give you a better chance of accomplishing large amounts of tasks at once. By using the Theming technique, you can schedule daily tasks over a month period to help you become more organized and productive. What is the Theming Technique? This technique will help you organize related tasks with one another and accomplish them on specific days. Planning ahead of time, use the Theming technique to organize all tasks that you need to get done into multiple themes and then schedule them to have one theme per day. As each day arises, you will focus only on that one theme for the entire day. There are never any big surprises as to what you have to tackle for the day since it’s already laid out in front of you. Makes you focus on one specific category which will ultimately limit the amount of unrelated tasks you do. Unexpected tasks can always come up, but you will be conscious of how long you spend taking care of these tasks, as you will always have in the back of your mind the theme for that specific day. This will make you create goals for each month as you need to plan an entire month ahead of time (or longer depending on how far in advance you schedule your themes). This technique is not only easy to use, but it’s easy to start. You will first need to identify all tasks that repeat weekly and organize them into themes. 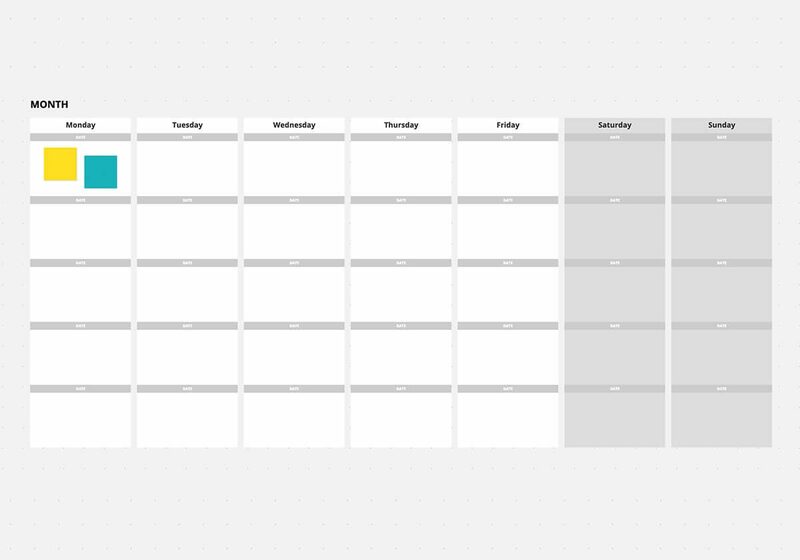 Then, using the Monthly calendar template, schedule these themes to have about one theme per day. For each day, you can use sticky notes or text boxes to highlight the tasks that are more important or things that can’t be forgotten. You can always have more than one theme per day, but don’t overload yourself. After trying it out for a few weeks, you can always rearrange your themed days to best fit your workflow. Using a digital calendar is easier to edit and re-adjust items to better fit your schedule. Try out this Monthly template in your boards to start planning your daily themes! Organizing and scheduling these related tasks ahead of time will let you know what needs to be done and when they need to be done by.